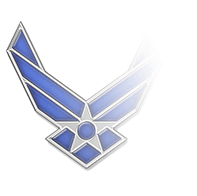 Nonsubdued pin-on Staff Sergeant rank insignia are worn only on Organizational Clothing and Individual Equipment (OCIE) uniform components that do not afford wearers the opportunity to display their rank with a shoulder mark or sew-on chevrons. 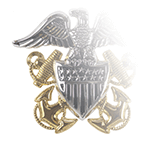 Consequently, only Staff Sergeants in either the Culinary or Medical career fields are authorized to wear these pin-on metal chevrons, which are manufactured with anodized, 22K gold plating. Culinary Staff Sergeants wear the pin-on insignia centered one-fourth of an inch above the nameplate on the Garrison Culinary Smock, while Medical branch personnel wear it centered on both of the collars of the Medical Assistant Smock with each insignia’s centerline bisecting the collar tip. 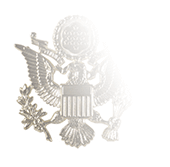 Subdued (black) pin-on insignia is authorized for wear on uniforms on which the subdued sew-on rank insignia is attached using hook-and-loop fasteners (Velcro), namely Utility uniforms and the ECWCS jacket. It’s centered on the hook-and-loop face pad found or, in the case of the ECWCS jacket, centered on the front tab. 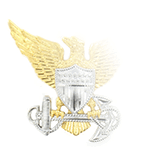 Staff Sergeants (E-6) typically hold one of four types of positions in the U.S. Army. 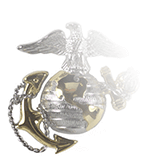 Probably the most common is as squad leader in charge of two teams that are each headed by a Sergeant (E-5), reporting to the Platoon Sergeant (a Sergeant First Class E-7) and Platoon Leader (a junior officer such as a Second Lieutenant). In instances where a platoon lacks a Sergeant First Class, a promotable Staff Sergeant could take on the job of Platoon Sergeant (which is a duty assignment, not a rank). Another possibility is serving on staff at the Company or Battalion level, and of course Staff Sergeants can be tapped to serve in either the training or recruiting arenas as a Drill Sergeant, an Instructor, or a Recruiter.